BERNIE SANDERS- ENTER THE SAND-MAN T-SHIRT ON SALE FOR A LIMITED TIME! T-shirt on sale HERE NOW! 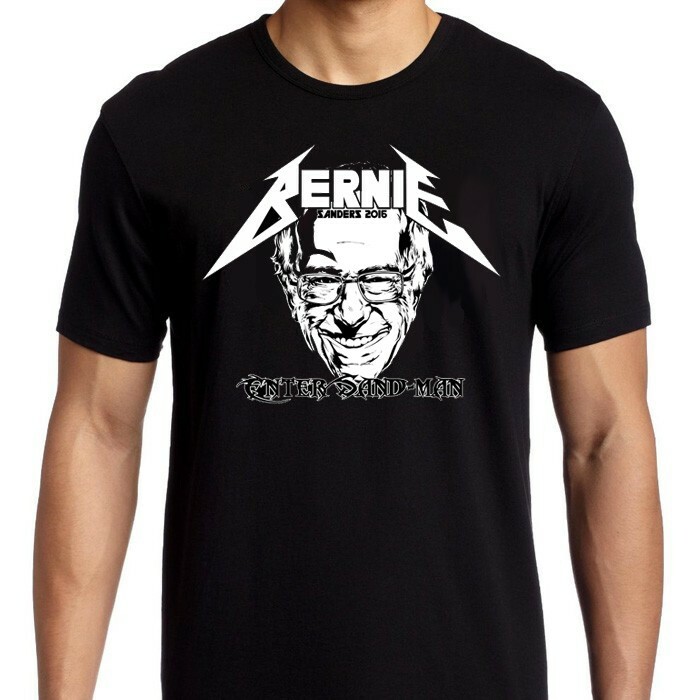 Comic Book artist Steve Kurth has created this killer Bernie Sanders/ Metallica mash-up t-shirt, and we’re proud to present it to the Nakatomi Nation! Available in Men’s/Unisex and Ladies’ cut 100% Ringspun cotton t-shirts! Best of all- Nakatomi’s Tim Doyle is donating his cut of the profits from the sale of the t-shirt to the Bernie Sanders campaign, up to the legal limit! These tees are being pre-sold, and we’ll have them all printed and shipped by mid-November! We’re going to print a LITTLE BIT more than what is ordered in case of some Johnny-come-latelys but once this shirt is off the site, it’s gone! T-SHIRTS ON SALE HERE NOW! You can see a lot more of Steve Kurth’s work HERE. You can also donate directly to the Bernie Sanders Campaign HERE. ← Doyle on NPR to promote Wizard World!